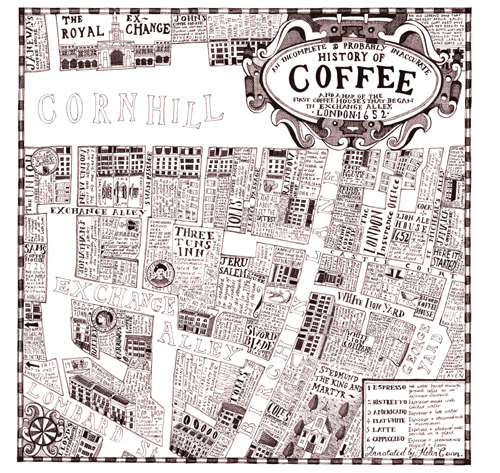 An Incomplete and Probably Inaccurate History of Coffee and a Map of the First Coffee Houses that Began in Exchange Alley, London 1652. 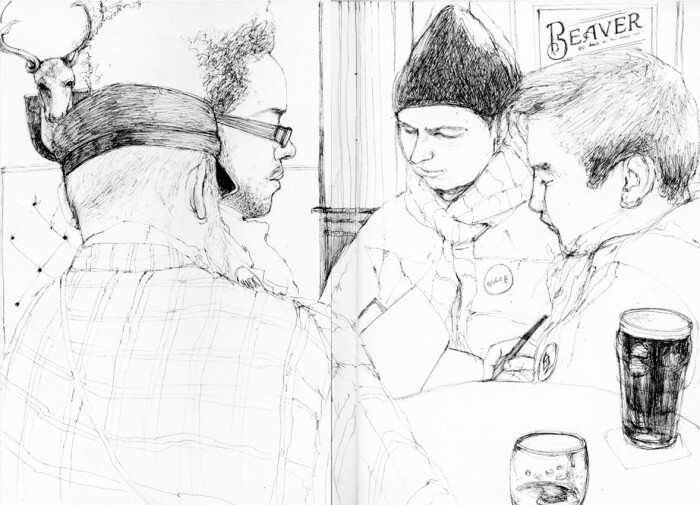 Another Tuesday evening of drawing at the pub! I really enjoyed drawing in the Cricketers in Brighton, a properly old school pub with red flock wall paper, antique prints, dark wood and the odd satanic-looking stuffed deer head hanging on the wall.